Need a new lunch idea? 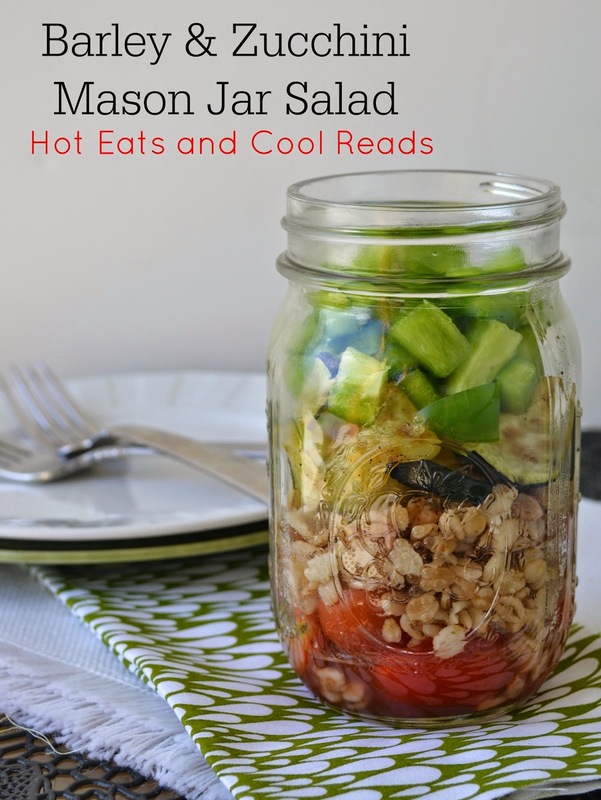 This jar salad is not only delicious, but healthy too! Packed full of veggies including bell pepper, zucchini and tomatoes! I just love mason jar salads! The presentation is beautiful, and they make wonderful weekday work lunches. All the prep can be done a day or two ahead of time, making it super simple! 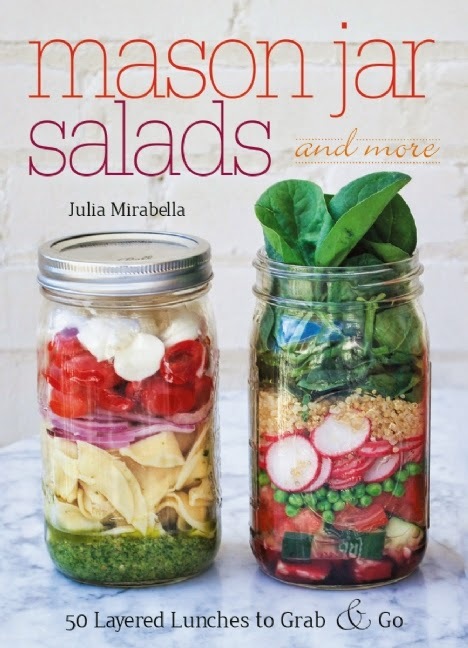 I recently came across the cookbook Mason Jar Salads by Julia Mirabella and I found some really great mason jar ideas! There's not only salads, but smoothies, breakfasts, and other types of lunch recipes. There's also a list of recipes for homemade dressings that accompany the salads. This cookbook is handy and super useful! 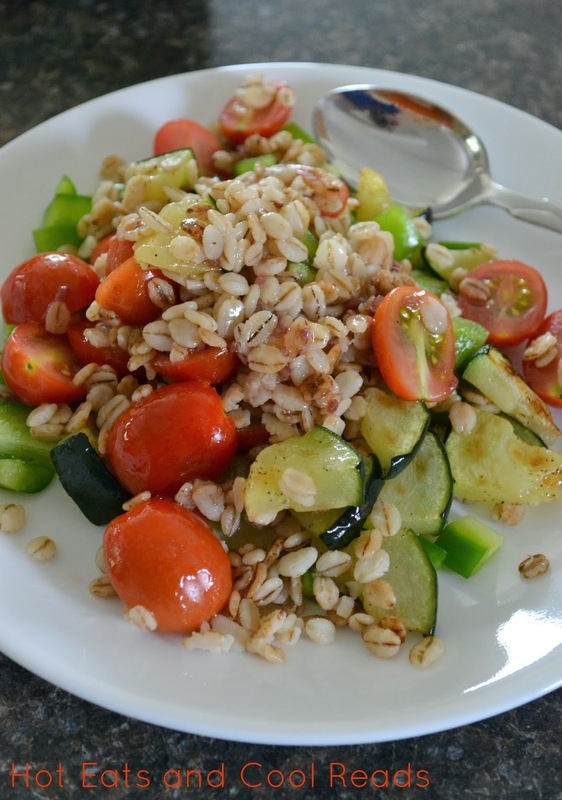 I had some zucchini to use up, so when I stumbled across the Barley and Zucchini Salad, I knew it was the one to make! I'm also a huge barley lover and thought they would taste great together. I went and picked some tomatoes and a green pepper out of the garden and got started! This recipe was phenomenal! The flavor combo is great. The toasty flavor from the barley was perfect, along with the favor from the zucchini being lightly fried. When it's all cooled and mixed together, it makes such a wonderful salad. I cannot wait to try more since I loved this one so much! Heat 1 tablespoon olive oil in a small skillet over medium high heat. Saute the barley in the olive oil, until browned and toasted. Remove from heat and set aside. Pour the 1/2 cup water into a small saucepan, with a pinch of salt and bring to a boil. Pour in the quick cooking barley, cover and simmer for 10-15 minutes until liquid is absorbed and barley is cooked through. Remove from heat, set aside to cool. In a small skillet, heat the remaining olive oil over medium high heat. Add the sliced zucchini and fry on each side until golden brown. Remove to a paper towel lined place, sprinkle with salt and pepper and cool. Pour the vinaigrette into the bottom of the mason jar. Add tomatoes, barley, zucchini then bell pepper on top. Seal and refrigerate until serving. barley and zucchini mason jar salad.